Special spiritual discourse (Shibir) was arranged for Hindi speaking people at Adalaj, Gujarat (India) from 19th May to 22nd May. About 1650 people, including new seekers and followers from 140 different cities/towns/villages representing most of the states of India visited Simandhar City in Adalaj for the shibir. 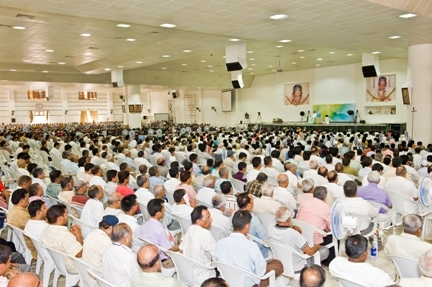 On 20th May, 950 new seekers attained Self-realization through Gnan vidhi Ceremony. Also, on last day ‘Darshan’ of Pujyashree Deepakbhai was kept for all.